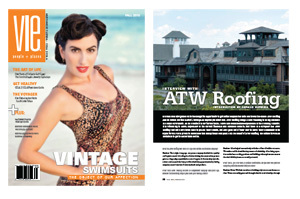 See our interview in Northwest Florida’s VIE magazine. Read the article and see the photos in our blog. It’s getting hot outside. Have you inspected your roof for summer? Get information on preparing your Florida roof for winter. South Walton FL, Panama City FL, Panama City Beach FLA, Florida Panhandle, Santa Rosa Beach, Rosemary Beach, Watercolor, Watersound, Inlet Beach, Destin, Fort Walton, Miramar, Seaside, Seagrove, Freeport, Defuniak Springs, Niceville, Point Washington and Sandestin, Florida.